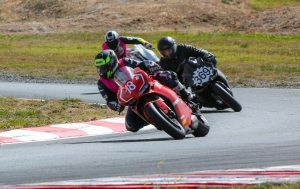 St George N+MCA Round 2 Club Championships Wakefield Park Goulburn NSW -April 14-15. With a few busy weeks beforehand my race weekend started after I get home from work on Friday night. I packed the trailer with the bike, tools, spares along with a chair and table etc trying not to forget anything. Wifey was also kind enough to duck up to the shops to buy me water, Gatorade, snacks and stuff to make lunch to load into the fridge in the back of the Ute. Trailer hitched, backed into the driveway for an easy getaway and I was done. I set my alarm for 4:45am and tried to get some sleep – this is quite the challenge the night before a race meeting as I get pretty nervous and going to a track I had never ridden didn’t really help. I hit the road just after 5am for the 1h45m drive to the track, nice easy drive on cruise control while I had a coffee and a forced down a light breakfast in the car – remember those nerves? Got to the track just before 7am and was lucky enough to have a spot for my trailer right at the back of my garage waiting, so parked up and set to setting up my half of the garage. 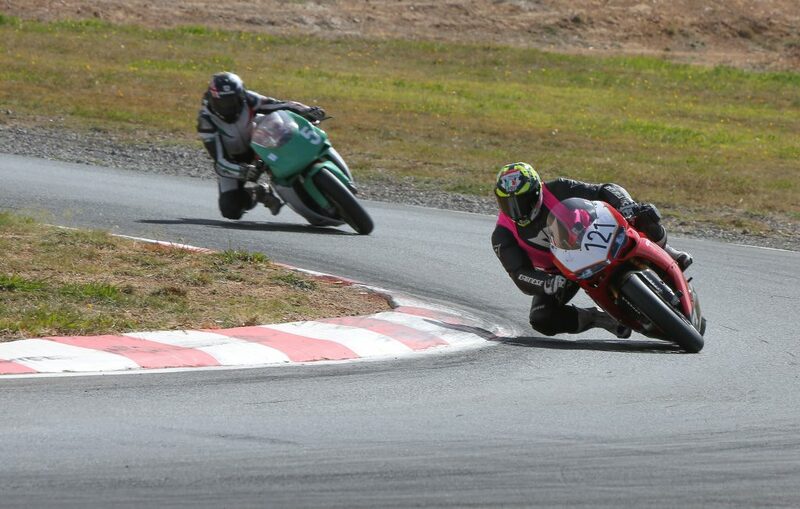 I was pitted with none other than Dean Hasler who is a front runner in the St George BEARS series. Scrutineering and gear check was next, bike checked over for general condition, lock-wiring of front brake callipers, oil filter, radiator cap and all bolts that have fluid behind them. Gear check consists of making sure all your riding gear is in good condition for your own safety. Got the bike back to the garage and reassembled all the bits I need to remove for the above checks and get the tyre warmers on, they need to be on for at least an hour to get the tyres hot enough to set pressures accurately. Once these were done it was time for the briefing to get final instructions, track conditions ect. Met up with fellow DOCNSW club members Jason Cliff and Kane Millerd who were only a couple of garages down and had a quick chat about the track as they had been there the day before for a practice day, probably something I should have done in hindsight but time off work is a precious commodity. 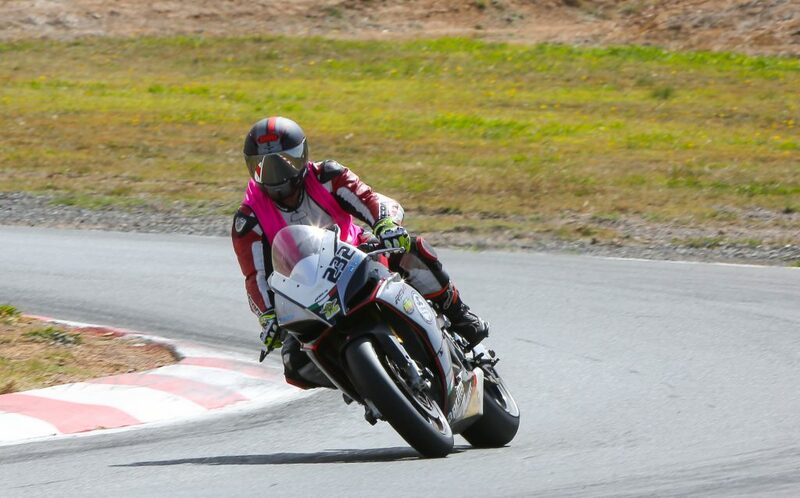 Novice practice is for us pink vest wearing rookies and was my first ever look at the track on a bike, I made sure I was first out to cut as many laps as possible in the 10 min session available. I was 1 of only 4 riders that ventured out. 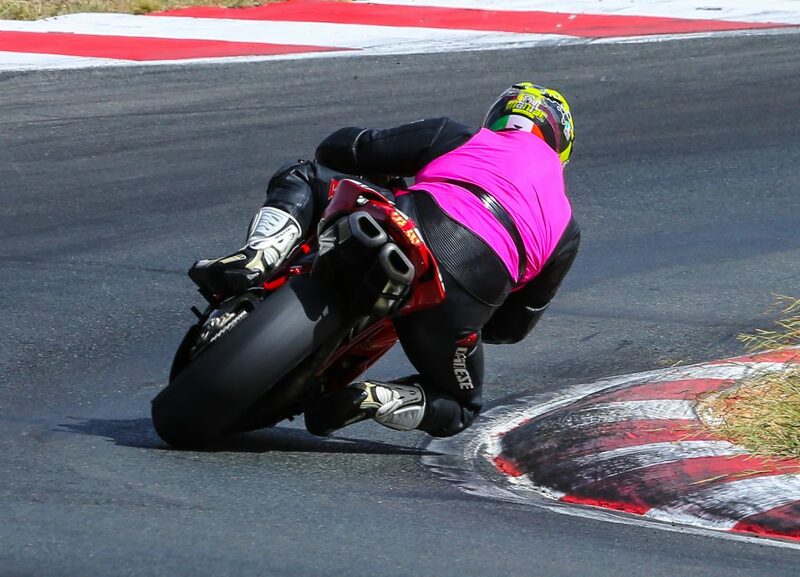 The track had a few small damp patches scattered over the place from some rain the night before but was generally dry on the racing line so I set out to try and learn the lines, braking marks and what gear to use where. I finished up the session with a best of 1:12 and admittedly wasn’t in love with the track. Qualifying was next and the track had warmed up a bit so I felt a little more confident to push, I was also now with the rest of the BEARS so could tag on the back of some guys to learn a bit more and have someone to chase. Got down to a 1:08 and qualified 6th which was a lot more respectable. Race 1 got underway without incident and my starts were greatly improved after the night out at the dragway working on them and bedding the clutch in a bit more. Got relegated to 7th into the first corner but made a pass on Kane into the next turn to get back to 6th, managed to make my way up into 5th and into the 1:07’s before Kane took me back towards the end of the race. 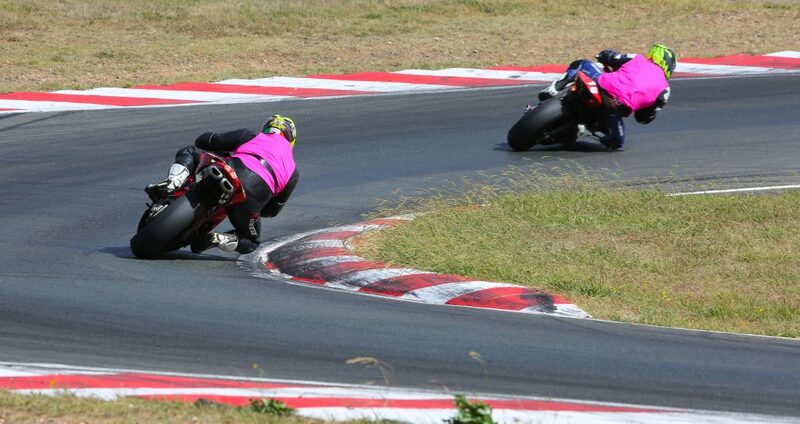 Still was happy to keep improving my lap times and be amongst it. Race 2 had me getting off the line with a great start taking Kane into the first bend into 5th position, he wasn’t having it though and passed me with a great braking move into the fish hook on the first lap and that’s where the positions stayed for the remainder of the race with me making a couple of mistakes to lose touch with him, however still happy to end day one rubber side down and into the 1:07’s in both races. Made my way to the hotel after a satisfying day to freshen up then arranged to meet up with Kane and Jason at the pub for a meal and some bench racing with some of the other guys racing in the BEARS. Was a good night but we all struggled to stay up til 8pm. Back at the track at 7:45 Sunday morning to flick on the warmers, attend another briefing and wait for the next race, I ended up moving my chair down to Kane and Jason’s garage as Dean being in the 1:03’s couldn’t really have any relatable conversation haha. Race 3 was pretty uneventful, was passed briefly for 6th off the start but made the spot back and rode a fairly lonely race. 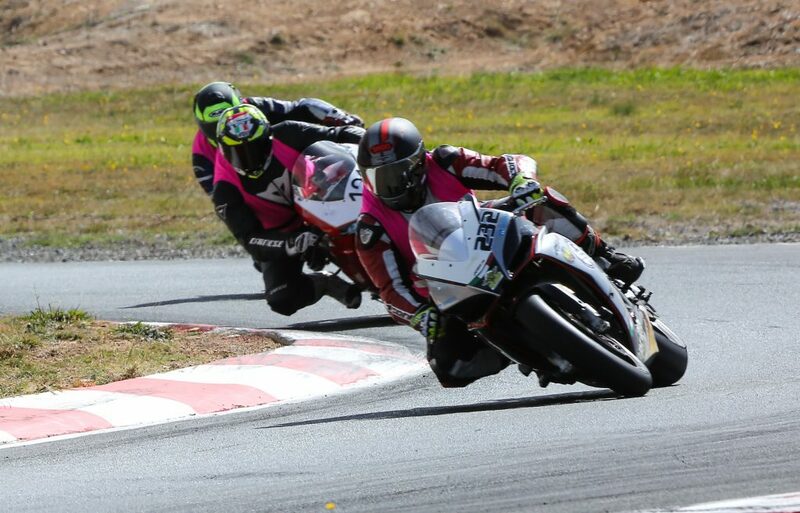 Track conditions had gone very cold and windy so everyone’s lap times were down and I was back into the 1:08’s. 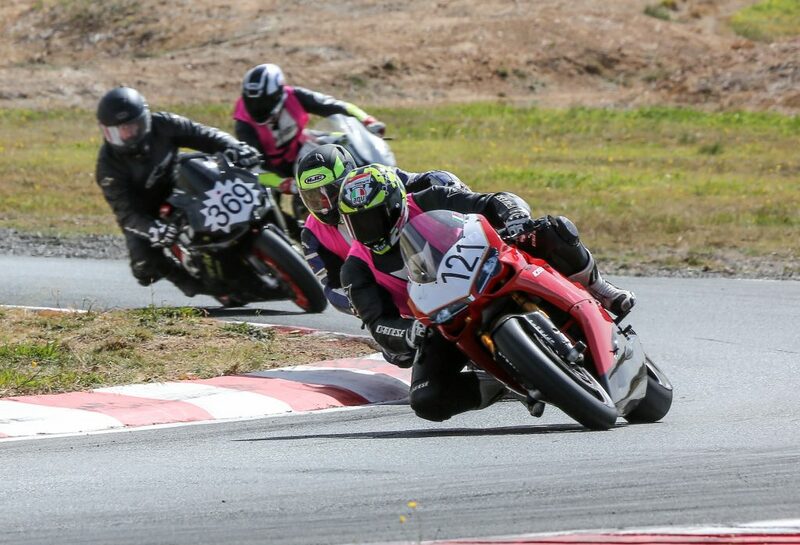 Race 4 got underway with a blistering start for me…well…until I clicked neutral instead of second gear! Arhh! Followed the pack around for a lap before making a charge, got a good exit to turn 2 and made a pass on Kane up the hill and into the left hander before being passed by one of the quick guys that had started from the rear. I then passed Phillip’s 916 on the straight into 5th. It was at this point I seemed to find my groove punching out 4 consecutive 1:06’s including my best of the weekend a 1:06.1 to chase down Jason and Peter but ran out of laps to make a move on them. Was very satisfied with the result though and happy to finally feel at home on this demanding track. Race 5 and the last for the weekend. It’s actually quite difficult for me to keep pushing in the last race as generally start to think about going home with the bike and I in one piece . I was keen to have a crack at the guys that I had finished behind the last race to tried to stay focused. With one of the fast guys starting from the back I was in 4th position after the first turn and had my head down. I was eventually rounded up for 4th by Mick as he made his way through the field. I ran in the 1:06’s every lap in this race but unfortunately for me the guys in front had found something extra and PB’d into the 1:05’s so 5th was where I stayed. 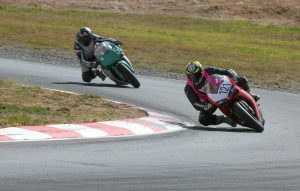 All in all a great weekend of racing on a track I finally started to enjoy in the last couple of races. I can’t make the next round in Broadford Victoria due to family commitments but I hope to be at Morgan Park QLD at the end of May to resume my battles with the guys. This entry was posted in Andrew Burley, Ducati Owners Club NSW Racers. Bookmark the permalink.